Today we have been learning about equivalent fractions and we enjoyed colouring in our fraction walls. 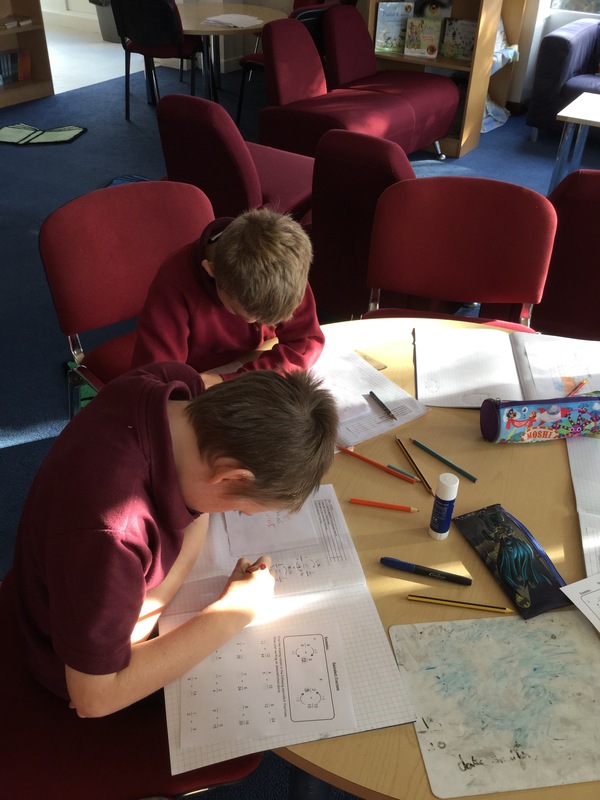 We are determined to be able to find equivalent fractions using our 6 and 8 times tables. What is an equivalent fraction of 2/3? 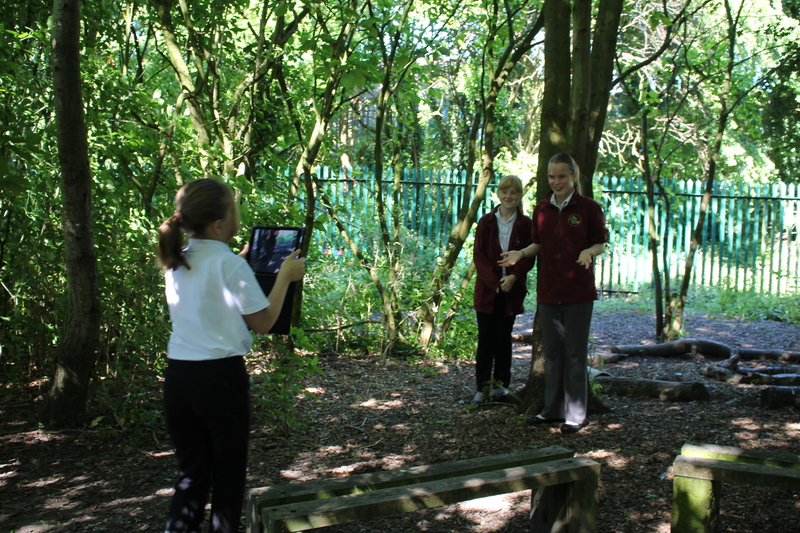 For our work towards our IT award we have been creating a video project. Here we are in the woodlands videoing each other. Thank you everyone for coming to our sports day today, we had a fantastic day in this lovely weather! Well done Red house for coming first place! We had lots and of fun and look forward for our high jump competition tomorrow. What was your favourite race? What position did you come? Today we held our throwing competition. 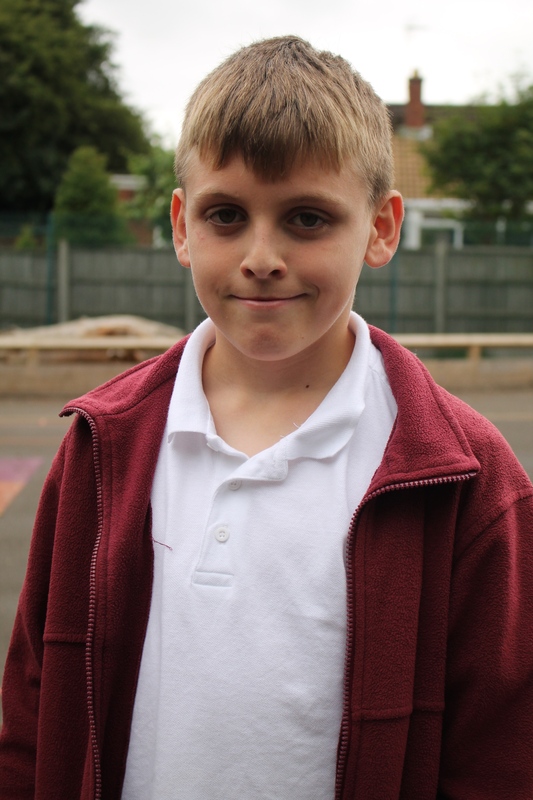 Well done Brooklyn who came first with a distance of over 26m. 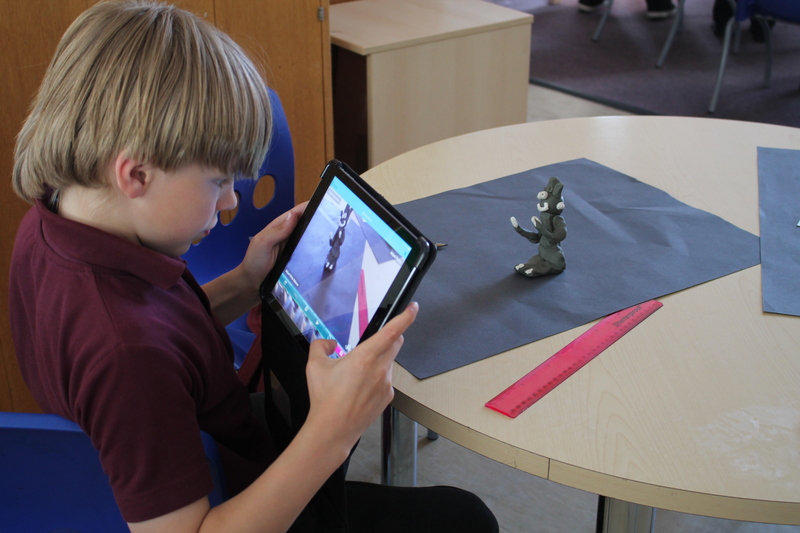 We have been busy creating our own animations for our IT award. We have based them on the discovery of a new planet. Some of us have create strange creatures we may find if we ever visited the planet! Parleen brought in his certificate and black belt to show us. 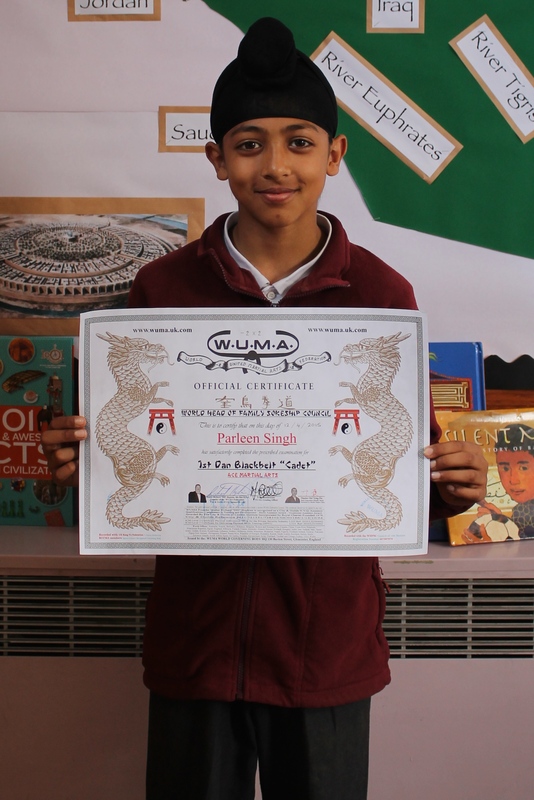 Well done Parleen on achieving your black belt! Today we took part in Children’s author live. 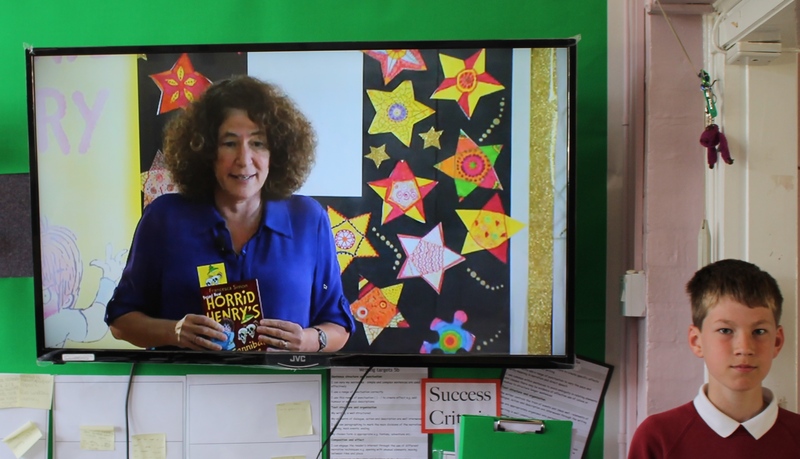 We watched and listened to a live streaming of Frances Simon reading from her Horrid Henry books. 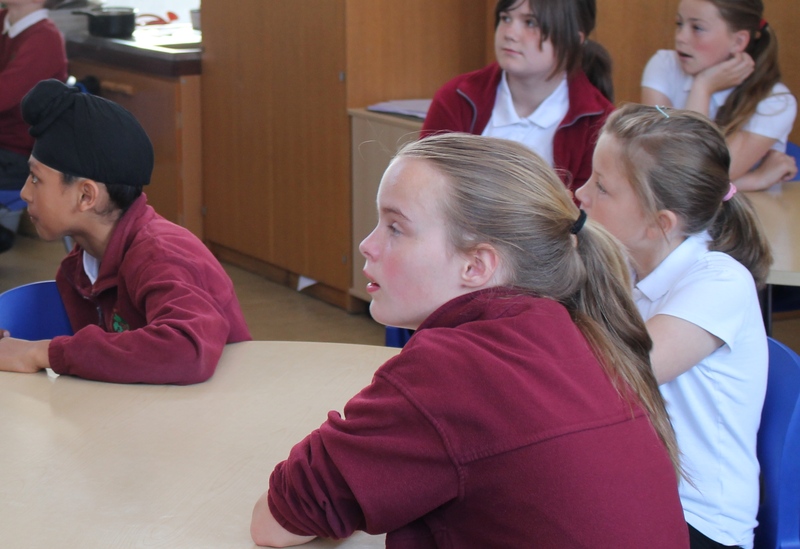 She then answered questions about being an author, why she wrote the Horrid Henry books and what she enjoyed as a writer. Ollie's Dad on Off to Kingswood!